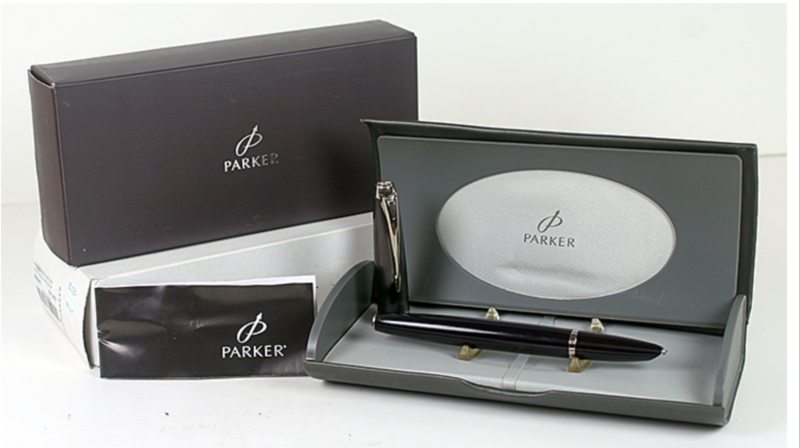 This is a 2005 Parker 100 GT cartridge/converter-fill in Cobalt Black. Palladium-plate trim. Titanium Coated Graphite Grey cap. Hooded-nib (medium), reminiscent of the Parker 51. New-old-stock. Mint in original box with papers, outer box and outer sleeve. Converter included. Made only from 2004 to 2007 and becoming very hard to find. Item #115 in Catalog #84. 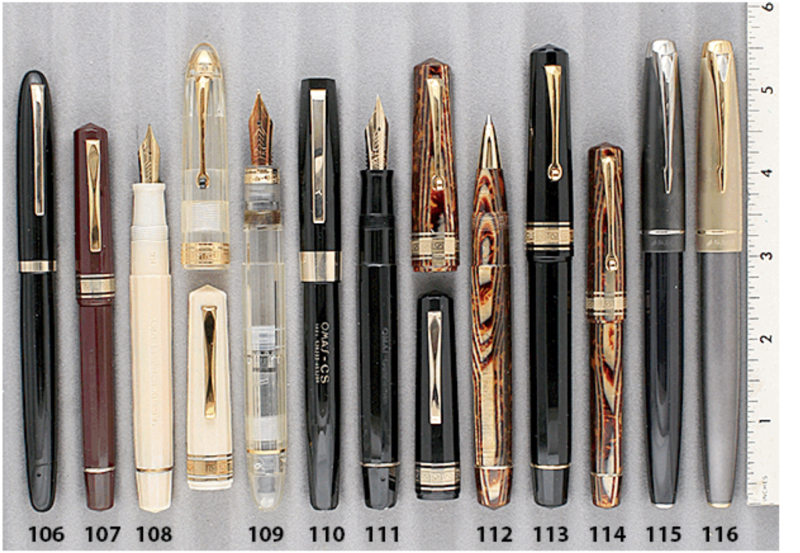 This entry was posted in Modern Pens, Vintage Pen, Vintage Pens and tagged Catalog, Catalogs, Extraordinary Pens, Fountain Pens, Go Pens, GoPens, Parker, Vintage Fountain Pen, Vintage Fountain Pens, Vintage Pen, Vintage Pens. Bookmark the permalink. Follow any comments here with the RSS feed for this post. Post a comment or leave a trackback: Trackback URL.